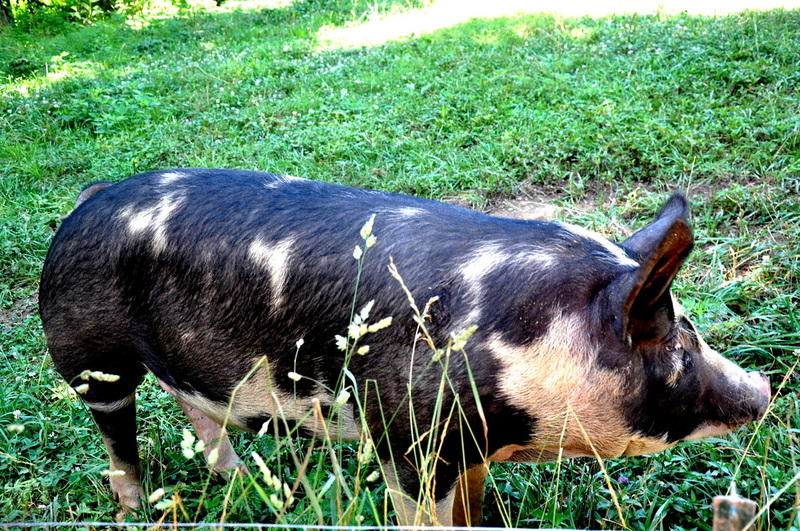 Our pigs are born and raised on our farm in a woodland/pasture. Raising our pigs this way allows them room to roam, grasses, nuts and roots to eat as well as a locally grown grain ration, garden vegetation, milk and whey. They are never fed antibiotics, given steroids or growth hormones. Our sausage is very lean with exceptional flavor and does not contain MSG. Our pork is USDA inspected and sold by the pound.